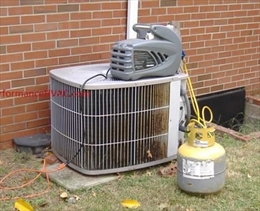 It is not usual for a part of your HVAC to malfunction. But sometimes the part can be repaired at other time it needs to be replaced. But some unscrupulous fraudulent contractor may tell you at the first sight that it is in a very bad state and you need to replace it. However, the truth is that it can be repaired as the fault is minor. They may go a step further and tell that you will need to buy a new unit and throw the existent one. In such conditions identify the error symptoms in your unit. ‘Google’ those symptoms and find out what could cause them. Analyse if the reason is as grave a being described by the contractor. You can so take a second opinion from an expert to be sure. Agree to work with a contractor only after being sure that his diagnosis was truthful. Size of the heating & cooling is of utmost importance in the HVAC sector. Many contractors to make money by selling a big and an expensive unit may persuade you into buying over sized unit. Beware of them. A big unit will cycle-off too frequently. It will be unable to purge humidity from the room air. You will feel clammy and sticky inside. Cycling on and off too frequently will lead to wear and tear of the machine. It will reduce it life-span. Ask your contractor the formula they are using to calculate the size. There are many sites that have calculators to provide you the right size of the A/c you need, if you give them the dimensions of the area that needs to be cooled. Have already replaced the part! A contractor will come to replace an erroneous part. After working on your unit for sometimes he will say that the part has been replaced when it has not been done. He saves the situation by saying that you will see the results in a couple of days. Do not step into this trap. The part has been replaced and results should be seen soon. It won’t take days. The best way to avoid this is to stand at the site of replacement constantly. Also call a reputed and credible company to inspect and repair your part. There are many companies that present themselves as big ones when they are not. They have untrained staffs and obsolete tools. So talk with the company thoroughly; pose as many questions as you have to size them up. They may keep names very close to that of reputed service providers. A little typos error here and there will take you to the website. So when a company representative comes to your house, check if he has come in a marked van or pickup truck with the company’s logo. Technicians of a reputed company are not go on client visit on their private cars. Overpricing is a common problem in every sector. To know the correct price, contact a couple of contractors. Ask them to quote prices for the kind of repair that is to be done. Also ask you contactor to give a clear break up of prices. This is to prevent any surprize when the bill reaches your house. Sometimes HVAC Company comes to inspect your unit and tells you that a part in your unit needs to be replaced. You agree to replace it. Then he might say if he can make the replacement right now as he has a part lying in his truck. Never agree for such a replacement. The part that he will give may be an old one, taken out from another unit that he went to repair before coming to your place. It won’t last. It can cause strain on other parts, reduce efficiency, and may work for more than a few weeks. 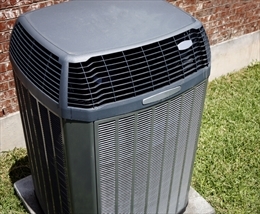 Two tune-ups of HVAC every year is enough. The air conditioner needs to be tuned in spring just before summer commences. The furnace needs to be serviced in autumn before winter begins. So if the company charges you more for a quarterly visit of technician avoid hiring it. Besides these some companies will make you a too-good an offer to trap you into buy a product that you are not intending to buy. 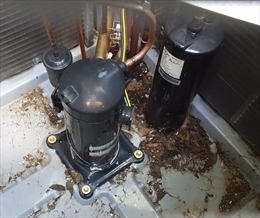 Sometimes your unit is leaky therefore refrigerant charge goes down. The technician comes to refill the unit every time the charge goes down, without repairing the leak. The refrigerant will leak again. This is a good way of making money. Never pay a company before you receive the service. Do not fall prey to low-ball offers. The quality of service will be too low. They make such offer to get a foothold in your house. Once they start work they will pile up the basic charge that they quoted.